To be honest, central Indiana was the last place that I expected to find some pretty good Greek food. But then again, sometimes the best things you find in the most surprising of places. 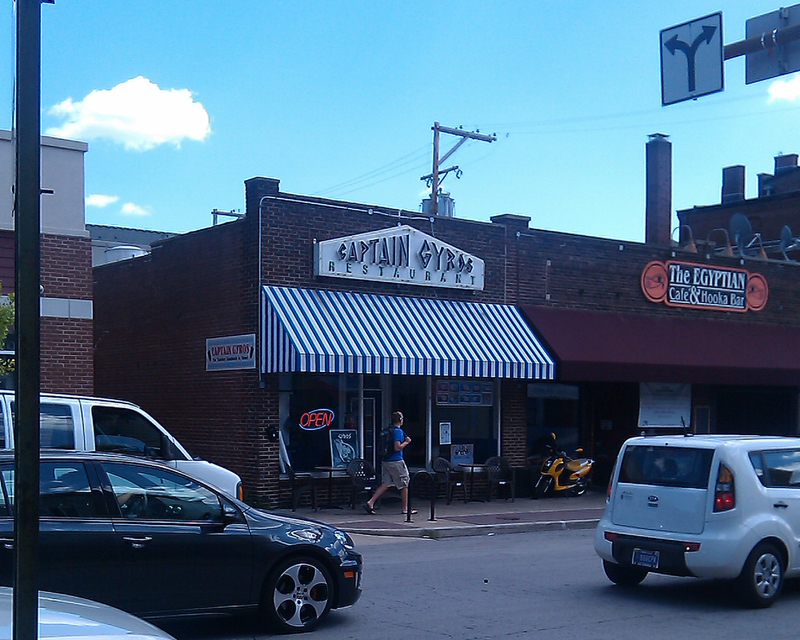 My friend and I used to take trips over to The Parthenon in Chauncey Hill whenever we wanted to get our Greek food fix. However, once that place relocated to an off-campus location, we were left searching for another place in the area to replace it. Captain Gyros was always right across the street from where I get my haircut, so one day I decided to give it a try. Like I’ve mentioned in a previous review, I am no expert on Greek food. I go with what tastes similar to the impression of Greek food I had when eating with my friend, who is 100% Greek. 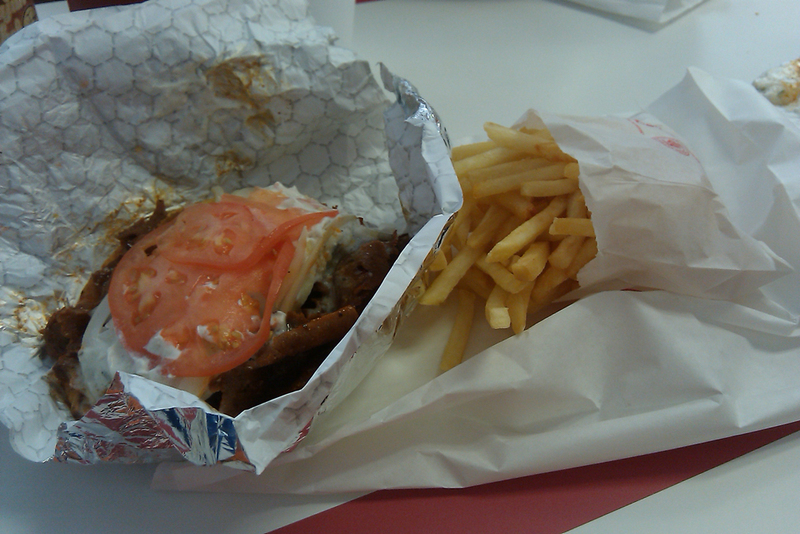 That being said, I have to say that Captain Gyros delivers a very good gyro. You can go with the traditional lamb option, or they also have the chicken option. Those two meats can also add a “spicy” or “barbecue” variant to them as well. Most of the time, my friends and I like to go with a spicy barbecue lamb gyro, which tastes absolutely phenomenal. 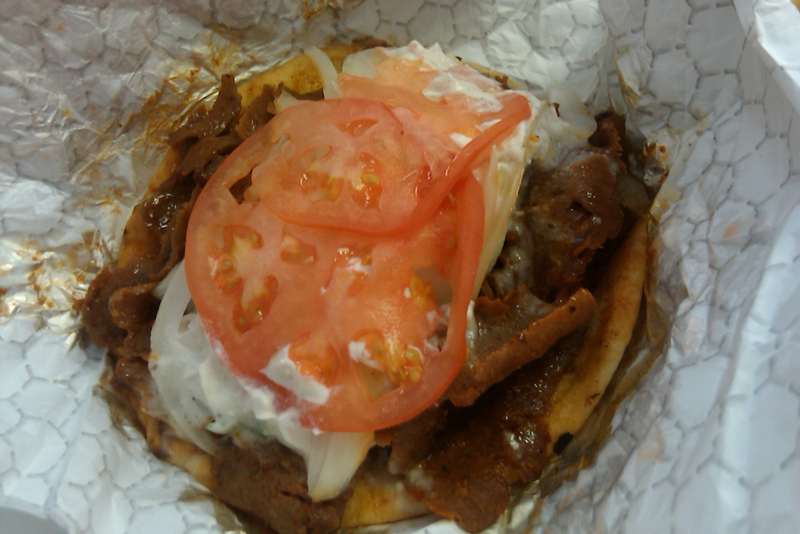 Each gyro comes topped with onions, tomatoes, and their tzatziki sauce, wrapped up in a nice, warm pita. Add in the combo option, and they throw in a 20-oz fountain drink and a side of French fries for about $8. It really is a ton of food for the price. The dining area is kind of small inside, with maybe four booths, four 2-person booths, and one large round table. The kitchen is also located right next to the dining area, having two vertical spits with the gyro meat rotating on it, as well as a large griddle next to it to cook up the onions, gyro meat, and other assorted menu items they offer. Overall, the setup is really nice, and almost every time I have been in the restaurant, I always see the owner working hard behind the counter. That dedication to the business is something that I really respect a ton. 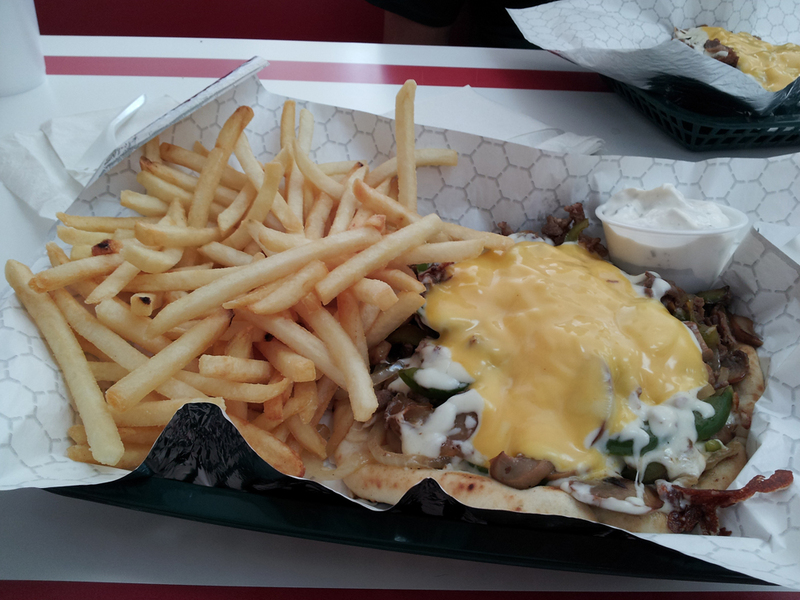 Their gyro meat always tastes great, and the gyro is consistently served piping hot for one filling sandwich. The dining area is nothing extremely special; it appears to be more functional than anything. But the tables are consistently cleaned after guests vacate them. The food is prepared extremely quickly, and the owner and his staff are always very friendly to all of the customers. The prices do lean just a tad on the expensive side, but to me, it’s worth it for sure, just because of how much food you get. I always feel stuffed leaving this place. Parthenon is not closed down. It moved out to US 52 in front of College Station. Thanks for pointing that out. I had meant that it closed down at that location at Chauncey, not permanently. I’ve updated my blog post to reflect the corrected information. Thanks Dennis. By the way, I like your blog! Thanks Jim! I’m glad you enjoy reading it!